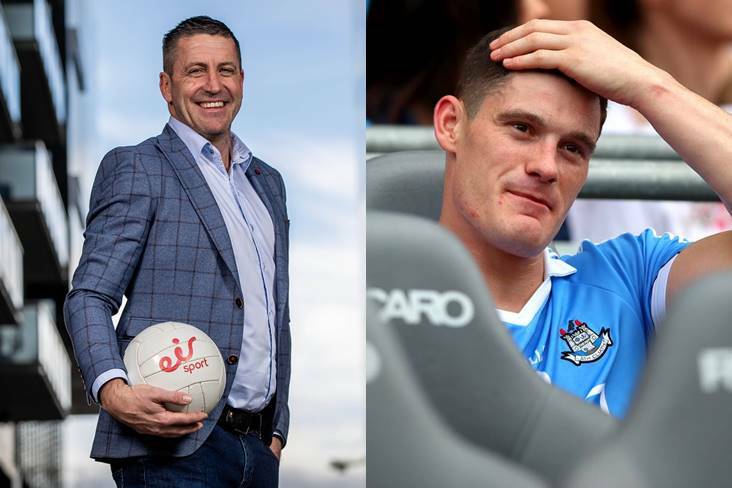 "I find it difficult to see Diarmuid coming back into that panel now"
Senan Connell at the announcement of eir Sport's 2019 Allianz League coverage (©INPHO/Morgan Treacy) and right, Diarmuid Connolly. Senan Connell doesn’t expect Diarmuid Connolly to play a part in Dublin’s ‘Drive for Five’. Two-time All-Star Connolly spent the summer in the US last year as his former team-mates maintained their vice-like grip on the Sam Maguire Cup and his inter-county future is again in the spotlight as the Sky Blues embark on what could turn out to be a defining year. “From my own personal point of view, I can’t see it,” Connell revealed to the Irish Daily Star at the launch of eir Sport's Allianz leagues coverage yesterday. “Just adding up bits and pieces. There’s not much that comes out of that camp. “But I find it difficult to see Diarmuid coming back into that panel now. And I haven’t heard anything to the contrary.